Ranko Marinković (22 February 1913 – 28 January 2001) was a Croatian novelist and dramatist. Born in Komiža on the island of Vis (then a part of Austria-Hungary), Marinković's childhood was marked by World War I. He later earned a degree in philosophy from the University of Zagreb. In the 1930s, he began to make his name in Zagreb literary circles with his plays and stories. His career was interrupted briefly during World War II. When his native island was occupied by fascist Italy, he was arrested in Split and interned on the Italian mainland. After the capitulation of Italy, Marinković went to Bari, and then to the El Shatt refugee camp where he made contacts with Tito's Partisans. After the war, he spent time working in the theatre. His best known works are Glorija (1955), a play in which he criticised the Catholic Church, and Kiklop (1965), a semi-autobiographical novel in which he described the gloomy atmosphere among Zagreb intellectuals before the Axis invasion of Yugoslavia. Kiklop later was adapted into a 1982 movie directed by Antun Vrdoljak. 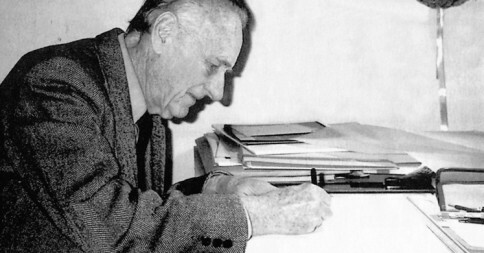 In the last years of his life Marinković embraced the political views of Franjo Tuđman, and became a member of the Croatian Democratic Union.